I put a smile on my daughter’s face this morning. I woke up early and fixed her pancakes for breakfast. 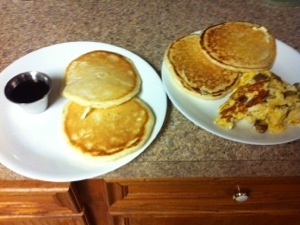 I was even nice and made breakfast for the whole family as well as lattes. Now to fix lunches, prepare supper and get ready for the busy day.